A loan from credit union could make it happen! Our office will be closed over Easter, opening hours are below. Note that share withdrawal requests made after 4pm Thursday 18th April will not be processed until Tuesday 23rd April. Thanks to everyone who attended our Annual General Meeting (AGM) today, Saturday 2nd March 2019. 33 members is a new attendance record! 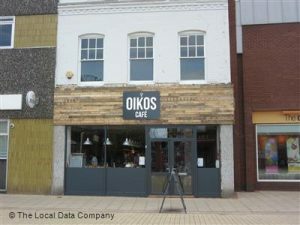 Thanks also to Oikos Cafe on Erdington High Street for providing our venue. We are pleased to confirm that the AGM approved a 1% dividend on savings, this will be processed on members’ accounts as soon as possible. Can credit union beat your bank? Loans from Advance Credit Union are more competitive than you might think for any value up to £8,000. Holiday, debt consolidation, new vehicle, or household expenses – give us a try! Loan offers are subject to affordability and credit check.